We found Pawar Furnishing on Shirley Rajan Road to be helpful for those who don’t like to spend all their money at expensive home decor stores. 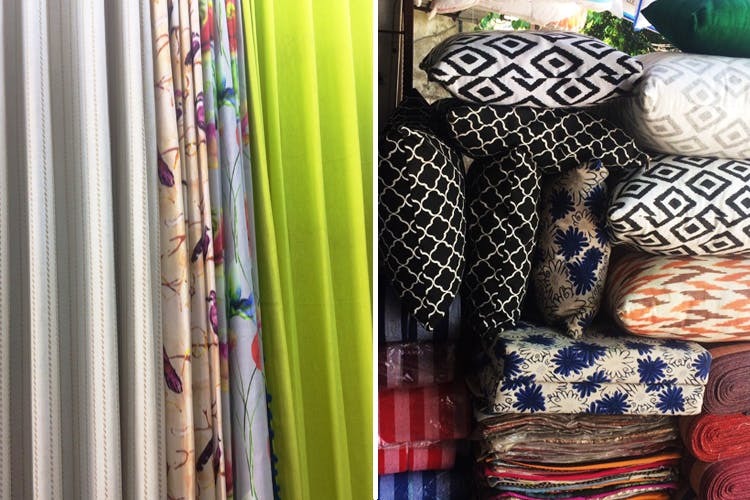 A small shop tucked in the Sherly Rajan lane in Pali, Pawar furnishings has everything from ready-made curtains to cushion covers that’ll make your home look refreshing. The curtains start at INR 750 a piece, cushion covers come for INR 200, fillers also come for INR 200 and a quilt will cost you INR 3,500. They also have floor cushions in case you want to change the seating game at your house. They also make curtains on order. You can either choose the fabric from the shop or bring your own. If you’re looking for a shop that doesn’t charge exorbitant amounts of money for a curtain, head here.